Terminate insects without toxins with the Texsport Bug-a-nator II Electronic Insect Zapper! The Bug-a-nator II lets you swat your way to a bug-free back porch or campground in seconds, with a fun to use, handheld design that kills insects on contact. 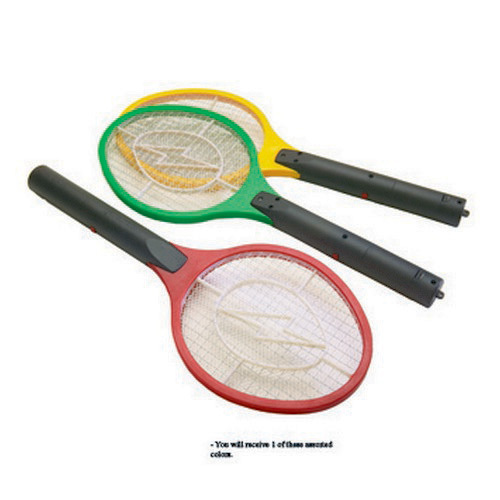 Don't wait for a citronella candle to kick in or an electric bug zapper to draw even more insects to the area, let this easy swinging, tennis racquet design swatter do the work right now. Runs on two AA batteries (not included). Safe for indoor or outdoor use. Environmentally friendly and not harmful to humans or pets.